I've got a fair few asian masks from Asian Beauty Plus and I do like sheet masks for there fuss free application, making it quick and easy. 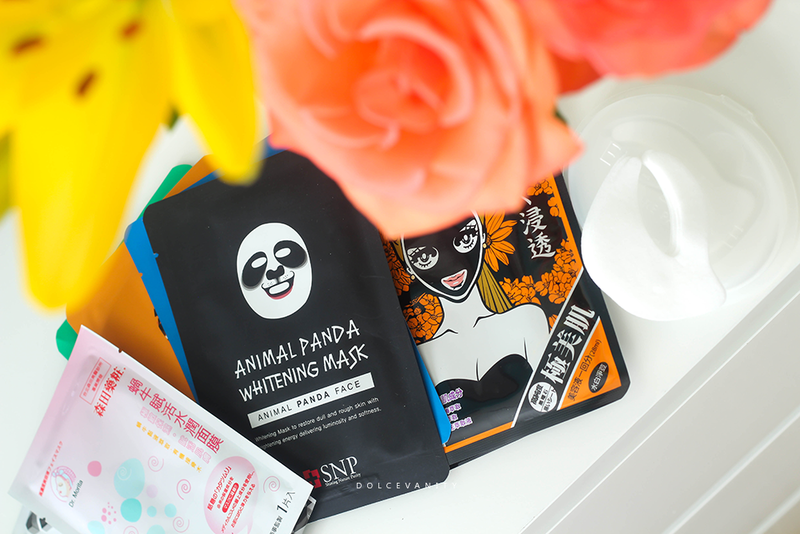 The first one I've tried is the SNP Animal Panda Whitening Mask - benefits of this mask are said to be long lasting hydration, brightening skin and get rids of wrinkles. I wanted to try this one first because after a week of not feeling well and the body really took a knock, my skin needed a little pep. Upon taking this out of the packet it was saturated with the serum and it had a strong smell of what I think was alcohol and I try to avoid putting alcohol on my skin as it can dry and age skin. Being that it was pretty wet, it dripped a fair bit but it wasn't too bad after awhile and I left it on for about 20 minutes before sliding it off and patting the excess into the skin and continued with my skin routine. Surprisingly the face didn't feel dry or tight but it did look a little brighter. With a good few masks to get through, there's going to be more future reviews on them. DHC has the cult deep cleansing oil and maybe this'll be the next one too. These eye masks treat the entire eye area, from upper, lower lid and even the outer eye. These have gentle but powerful multipeptides that support the eyes collagen. 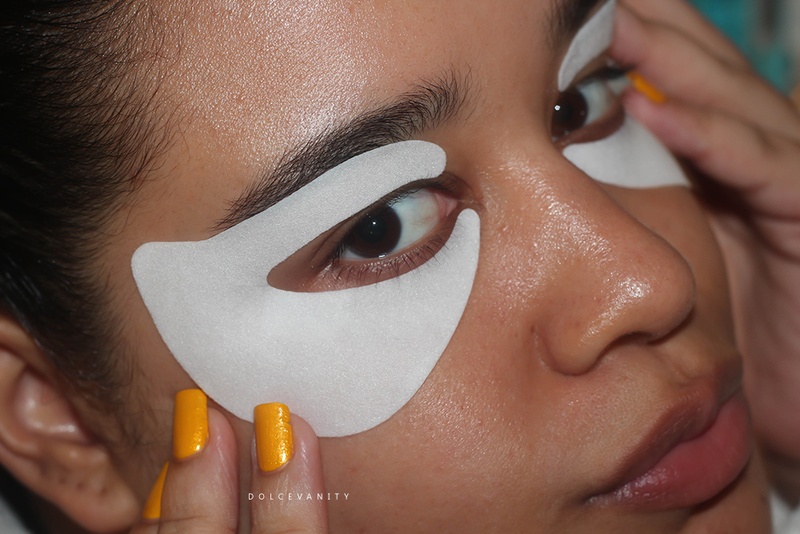 Overtime with the useage of the eye masks there should be improvement of fine lines, puffiness and elasticity. The olive fruit oil is a rich antioxidant & deeply hydrating hyaluronic acid that helps to protect the skin's natural moisture barrier. With sheet masks for the entire face being a hit, why not have some just for the eyes. I know there's already under eye sheet masks you can buy the difference is with this one it's for the lower and upper lids. You peel off one pad to get two masks. It's got a cooling gel on the sheets that makes it easier to peel and adjust to how you want it. I did find that it took time for me to adjust to the feeling of this on my eyes. My lower lashes would brush on the mask, feeling a little irritated but I don't think that was to do with the product more so something brushes my lashes. Sometimes I feel if my eyes don't look bright and awake it can tell myself & others a lot from fatigue, dark circles, puffiness & dark circles, I'd say my eyes felt hydrated and smooth - maybe over time it'll give it a brighter appearance. Have you tried any asian beauty products? 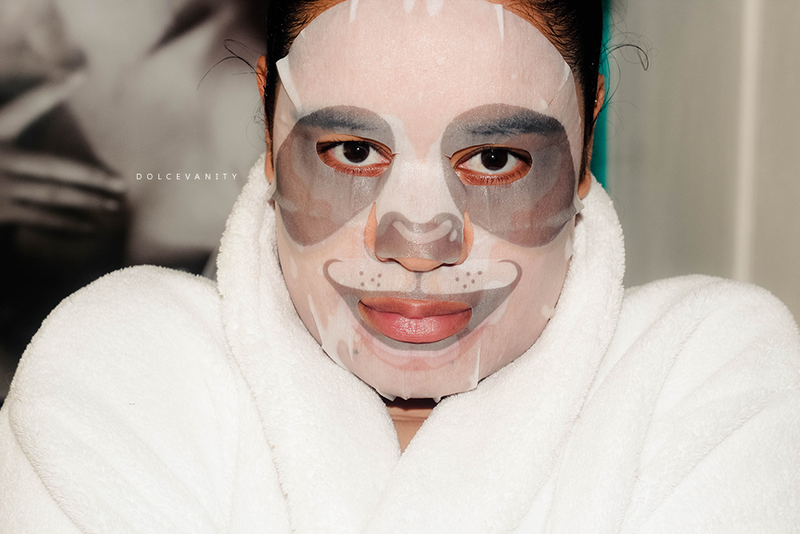 I won't lie I'm totally jealous of that panda face mask - I think I'd have more fun doing snapchats of that then thinking about the actual product! Wouldn't it be great if it does really help your skin, but good it seems to have been positive so far. Funny you mention that, because on Sunday someone asked me what filter this was on Snapchat, LOL! Haha you would, it's fun, I noticed asian masks can be quirky but be careful due to the alcohol content! My daughter is always stealing my facemasks. Don't think I'd get a look in with the panda one! HaHa! If that's the case, grab two of each lol! Me too. I do enjoy them, very fuss free and I like the fun twists. That panda face mask looks hilarious! I do love a good face mask but have never tried a paper one like that. lol, gosh I wonder what I'm going to look like in the dragon one. I never really gave them a glance until I had some some years back. I've never tried these before but they sound really good, I'd love to give them a try. There are so many sheet masks it's hard to not be obsessed lol. Oh wow, thank you for the recommendation Sarirah, I need to look for those, I'm really loving eye masks because they do have some amazing benefits. This looks so cute and sounds like it is really hydrating and great. I'd love to try the product. I like how affordable they are. Another great benefit. I haven't tried any Asian masks. They do look funny, but the benefits outway the look! Will have to try some. Thanks. Haha, be a fun thing to do and have a #nofilter face. 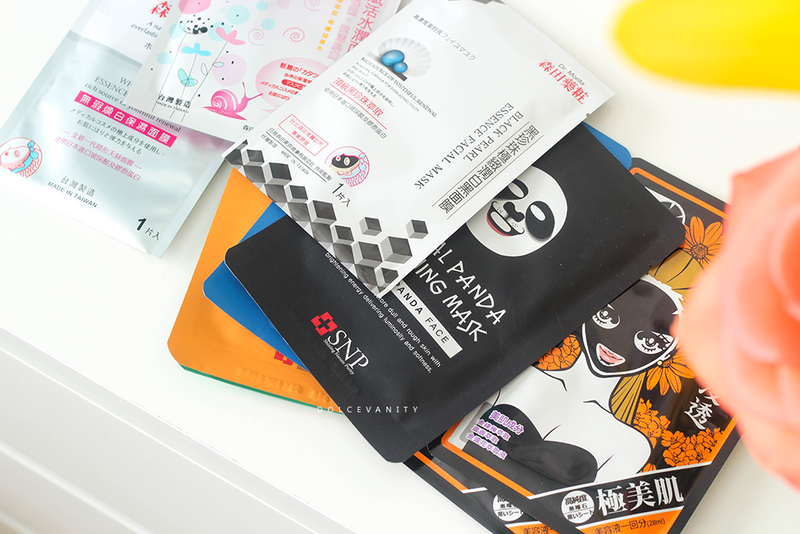 I am obsessed with Asian beauty products, I need to try some of these masks next! Asian skincare is certainly up there along with the Swiss for great products. These sound so cool. I actually haven't tried any sheet masks or Asian beauty products. Oh you should if you get the opportunity. Inexpensive items some of them especially the sheet masks. These are so fun! I have never seen face masks like this before. I hadn't either until I was sent these, I didn't know what to expect when reading about them. Look how cute you look like a little pandaaaaaa! They look so cool - packaging wise! I could probably do with that under eye one! I have never tried Asian Sheet masks but maybe I should as they look lush. love the packaging and design! They do, I like how the different animal faces available are for different skin concerns. LOL, I need to have that opportunity on opening the door with it on. The masks are good, especially the eye masks. i need to try that panda one. i there are other animal ones out there too. need to stock up when I'm in asia next weekend! There are, dragon, tiger, seal - I think it was lol you'll definitely find them. Can't miss 'em. Oh Seoul, lovely. I love to have a bundle of face masks but sheets I'm liking as you can take them with you anywhere too! It's different and I can't fault that, adds character to the face masks. I have been looking for a great max like this! I will have to order these today! Thanks for the great review! !